Would You Buy A 3D Printer At $200? | OhGizmo! Would You Buy A 3D Printer At $200? By David Ponce on 04/08/14 • Leave a comment! 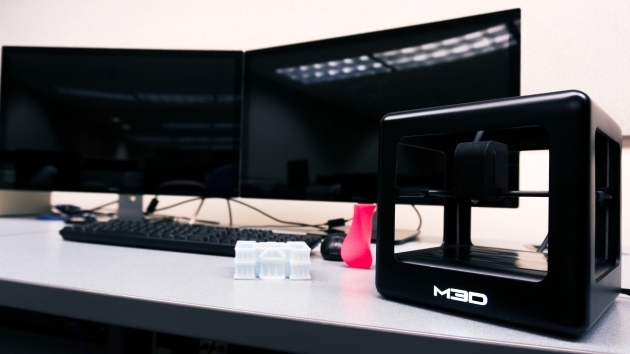 Where’s the price cutoff point at which 3D printers might hit critical mass? $400? $300? What about $200? Because that’s how much you would have had to pledge to get your hands on the Micro 3D (M3D) printer pictured above had you been an early bird; it’s $300 now. Currently well above its funding goals, this printer can construct a cup of tea, say, out of thin air in as little as one hour just by pressing a couple of on-screen buttons. Plug it through USB like a regular printer, browse through a library of objects, design a new one, or download some to the provided software and you’re more than halfway there. You’re free to use any type of plastic filament, whether ABS, PLA or Nylon, and your printed objects will have a 50-350 micron layer resolution.